Unreserved Category- Minimum 45% in 10+2 subjects for UG and 55% in LLB or any equivalent course for PG; Reserved Categories- Minimum 40% for UG and 50% for PG. Common Law Admission Test (CLAT) is the most coveted of all the law entrances in India after Class XII. 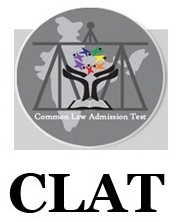 CLAT is conducted every year to select students for 22 National Law Universities in India, other than National Law University, Delhi, which conduct its own entrance test (AILET), to select the students. The law entrance examination is conducted annually for UG and PG programs. Age Criteria: There is no upper age limit for CLAT Eligibility in UG as well as PG Courses in CLAT 2019. Minimum Marks: The minimum percentage of marks in qualifying examination (i.e., 10+2), the candidates must have secured 45% marks in case of candidates belonging to Unreserved /OBC /Specially Abled Persons (SAP) and other categories, and 40% marks in case of candidates belonging to SC/ST categories. Eligibility Criteria: Candidates who are appearing in the qualifying examination in March/April 2019 are also eligible for appearing in CLAT 2019 online examination. However, they shall be required to produce any evidence of their passing the qualifying examination at the time of admission, failing which they shall lose their right to be considered for admission. Result Submission: The result of the qualifying examination (i.e., 10+2) shall be submitted by the candidate at the time of admission, failing which the candidate shall be ineligible for admission to the Course. Qualification: Candidates who have appeared and passed the qualifying exam are eligible to write CLAT Exam 2019. The candidates who have written the supplementary are also eligible to appear for CLAT 2019 provided they produce proof of having cleared the supplementary. The conducting authority of CLAT 2019 will follow the tie-breaking procedure to determine the merit list. Higher marks in the component section on legal aptitude in the CLAT 2019. Candidate with a higher age will get a higher rank on the merit list. In the event that the tie isn't chosen by age standard then the computerized draw will be utilized to break the tie. Age Criteria: There is no age limit for the Candidates participating in CLAT 2019 Examination. Qualifying Examination: The qualification prescribed for LL.M. is LL.B./Five-Year Integrated LL.B. (Hons.) or any other equivalent exam. Eligibility Criteria: The candidate must have passed/appeared in the final semester/final year examination of the qualifying examination on the date of his/her admission. A result of Qualifying Exam: In case of candidates who have appeared in the qualifying examination, he/she may submit his/her final result of qualifying examination within the time frame prescribed by the respective University/Institute. Till then such candidates may be given provisional admission. Minimum Percentage: Candidates belonging to Unreserved, OBC, and Specially Abled Persons must secure minimum marks of 55% in LLB or any other equivalent courses qualifying the exam. Candidate belonging to SC/ST Category must secure minimum marks of 50%. Candidates from India are eligible for the CLAT 2019 exam. Students with a compartment in 12th also are eligible to apply for CLAT 2019. NRI's are eligible to appear for the CLAT 2019 exams. Only candidates who have appeared and passed the qualifying exam are eligible to write the CLAT 2019. The candidates who have written the supplementary are also eligible to appear for CLAT 2019 provided they produce proof of having cleared the supplementary. NRI/ NRI Sponsored category candidates are offered seats under NRI Quota. The admissions are not carried out by the CLAT office, but by the concerned universities independently on the basis of CLAT merit. Candidates must contact the concerned university directly for admission formalities, eligibility, documents required and other related queries for seeking admission under NRI/NRI sponsored category. There is a total of 17 seats for the candidates aspiring for admissions in the undergraduate courses whereas there are no seats available for the postgraduate program. Through CLAT Office: CLAT Office will issue the list of students eligible for taking admission under this category. a) The person who willingly sponsors candidates for admission is required to be a first-degree relation of the student and shall be residing abroad as a Non-Resident Indian. b) In case the student has no parents or near relatives or taken as a ward by some other nearest relative, such students also may be considered for admission. The guardian must have legally treated the applying candidate as a ward. Such guardian shall file an affidavit mentioning the interest in the education of the candidate and also their relationship with the candidate. It is mandatory for that person to also be a Non-Resident Indian and ordinarily residing abroad. For PG programme, what is the minimum qualification required for OBC? Candidates belonging to Unreserved, OBC, and Specially Abled Persons must secure minimum marks of 55% in LLB or any other equivalent courses qualifying the exam. Candidate belonging to SC/ST Category must secure minimum marks of 50%. If someone is having a supplementary can he apply? The candidates who have written the supplementary are also eligible to appear for CLAT provided they produce proof of having cleared the supplementary. I got supplemetary in 12th class. Am i eligible to appear for CLAT 2019? I got supplementary in 12th class. Am i eligible to appear for CLAT 2019? Any necessary documents required? If you have written the supplementary, then you are eligible to appear for CLAT 2019 . You need to produce proof of having cleared the supplementary. What min percentage is required in 12th class for appearing in CLAT 2019? I belong to general category. What min percentage is required in 12th class for appearing in CLAT 2019? Min percentage required in 12th class will be 45%, if u belong to general category, to appear for CLAT 2019.
i have passed 12th this year in 2017 by giving compartment in biology. can i give clat 2018 exam? For CLAT 2018, you must score at least 45% marks if general/OBC and 40% if SC/ST. What is the required qualifying marks to apply for the CLAT exam? The candidates should have scored minimum 45% marks in their 12th standard examination to be eligible to apply for CLAT 2017. CLAT eligibility criteria for UG courses. What is the eligibility criteria for UG courses for CLAT 2017? Senior Secondary School/Intermediate (10+2) or its equivalent certificate from a recognised Board with not less than 55% marks in aggregate (45% in case of SC and ST candidates). Students who are waiting for the results can also appear in the test. Eligibility criteria for CLAT 2017. What is the eligibility criteria for CLAT 2017? The CLAT aspirants must complete their 10+2 from recognised board or university to be eligible for CLAT. Aspirants who are awaiting their results of 10 + 2 are also eligible to apply for the examination. Students from general category must have completed the 12th level with minimum 45% marks to satisfy the eligibility criteria for CLAT. The minimum requirement of percentage in 12th for students from SC and ST and specially-abled students category is 40% for them to be eligible to write the test. The CLAT aspirant vying for post graduate courses must have done LLB degree from a recognised institute with minimum 55%. However, the requirement of percentage is 50% for ST and SC candidates and specially-abled students. What is the CLAT eligibility criteria for PG courses in terms of Educational Qualifications? The candidates must have completed the LL.B or five-year Integrated LL.B degree with not less than 55% marks and (50% in case of SC/ST candidates) from a recognised university as prescribed by the participating universities. What is the CLAT eligibility criteria for UG courses? Senior Secondary School/Intermediate (10+2) or its equivalent certificate from a recognized Board with not less than 55% marks in aggregate (45% in case of SC and ST candidates).